I've thought long and hard about writing this blog but it needs to be said - or it needs to be written anyway. As part of a recent Purchasing Coach relaunch I've brought to the fore what I, and those who have worked with me for years, see as my USP - my use of unconventional tools to unlock potential. Using them doesn't mean I can't do conventional. Using them also doesn't mean I can't understand business needs, and the requirement to meet or even exceed procurement objectives. I get that - I've successfully worked in procurement for major corporates for over 30 years - I really do get that. What I have discovered though is when people are stuck, or breakthrough thinking is required convention doesn't always cut it. That is, doing what you've always done, in the way you've always done it, isn't going to get different results. It hasn't for the last x years, and wont for next x years. As I've written about before: If what you're doing is working then that's great, I'm happy for you, and I agree you certainly don't need my help. If, however, what you're doing isn't working then doing something different is needed. I have a few ideas on how to help you do that, but let's get this clear, change is needed, and any resistance to that change needs to be addressed. The decision is more about who will help you do that. I can't think of anything better than being faced with a situation that requires unlocking. Call me odd, but I get a real buzz from that sense of stuckness. Or perhaps the better way of describing it is - I get a buzz from the potential that's available to be released. As a result I've become very good at helping people release that potential. I have a frustration though - sometimes it feels like those most in need of unlocking, or with the greatest potential to be released are kept away from me :-(. "I totally get you Alison, but they won't. I'm afraid they're just too x,y,z, and not open minded enough to get you." A senior executive was feeling very stuck and unmotivated in their role and was thinking of leaving. After a session using a couple of the unconventional tools they'd got their old joy for work back, and had a spring in their step. Leaders at networking events who gained significant insight from using one of the tools. A very conventional manager who had relaxed in my company, opened up and told me things they shouldn't have, and told me they knew I would do the job very well. A procurement exec who has worked with me before, and they and their team have benefited from the work I do, and the way I do it, but they have now moved to a new team. An MD of a supplier who saw how good I was at what I did and how I did it. "You're just very good at getting rapport with people - so they think you're like them, and that like them you will also have problems with the same people they have problems with." I wonder if other things are at play too. The need to conform can get in the way ie all those musts, oughts, and shoulds of what is acceptable in business and what isn't acceptable. After all it's taken me long enough to be comfortable selling the unconventional, so I understand it's going to be even harder for others. We don't take our own identify off before we stand in the shoes of the other person to see if they might benefit from a session. We don't give the other person the benefit of the doubt for being open minded enough - ie we've written them off. Yet it's those very people I get the most satisfaction from working with and often get the biggest shift in behaviour from. Because I acted in a certain way with you - you assume I'll act exactly the same way with the other person - for whom that behaviour, you think, will push their buttons. Some of the blocks are personal, and someone can feel very exposed when discussing them. In any session these are handled sensitively. Someone can however feel very uncomfortable selling the benefits of the process because they feel they may need to share their own experience. Forgetting that, whilst they know what happened, unless they say anything no one else ever will. Of course I'm not going to be everyone's cup of tea, and in some of the instances when someone chooses not to put me in-front of their colleagues, stakeholders or suppliers they're making the right decision. What I do is grounded with the need to meet business needs. Laughter, fun and weirdness all have a place - so long as we're heading in the direction of unlocking the potential - so long as the end result will be someone being able to use potential that's been hidden. That is, there is definitely, as the saying goes, method to the madness. A lot of method, and a lot of thought. Similar to those swans you see making it look easy and effortless, and lots going on underneath. I do flex my style - in coaching, facilitating and when training. That's what I teach others to do - to flex their style to increase understanding between others. It should go without saying therefore that I'm very good at using those skills myself. Unconventional might feel uncomfortable to you but I've done it since I first started work - I'm comfortable with it, and am very good at positioning it with others. I'm great at allowing others to think it's weird, and to get them to give it a go anyway. To allow them to believe it won't work, and still try it. For allowing them, however they might be feeling and what ever the outcome might be, to be perfectly ok with that outcome. Over the next month I'll be sharing examples of these unconventional tools applied to real life procurement issues to give an insight to how beneficial they can be - with hard not just soft benefits. 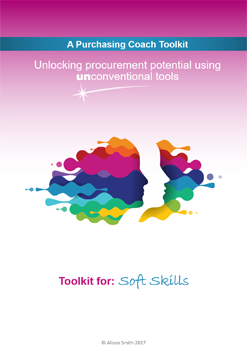 Unlocking personal, procurement and organisational potential using unconventional tools. I'm offering 1 day sessions entitled Unlocking your potential on 29th & 30th of April, and 1st May. 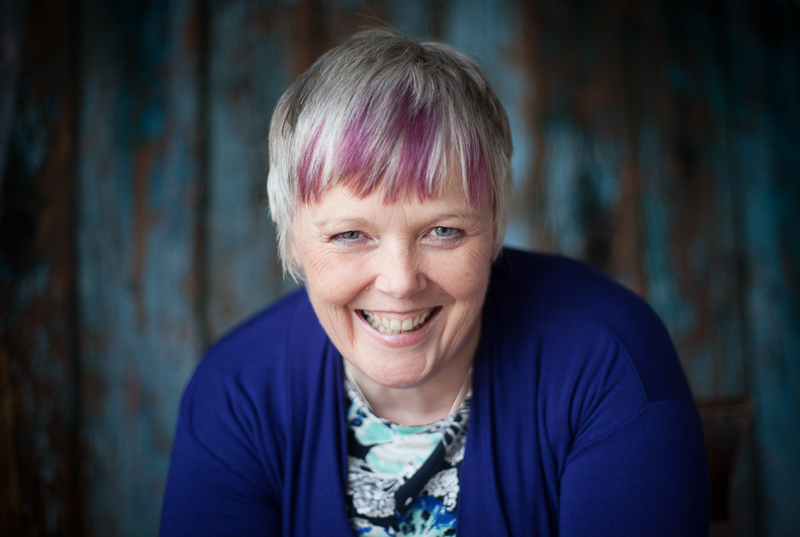 If you want to get back on track, find out what's holding you back, or simply know you have things to do and don't seem to be getting there very fast, why not join me for a day to explore how to unlock your inner potential. Sessions will utilise the Open studios north Fife and/or Open door weekend via the train here in Fife, Scotland. Other locations and dates can be arranged. Call +44(0)7770 538159 or alison@alisonsmith.eu for more details. "I just feel very lost" said a coachee during a coaching session. At the time I suspected if we spent too much time discussing the real life situation that they'd stay well and truly lost. That is, all the reasons they couldn't see a way out of the current situation would just be discussed in more detail - as if to compound and reinforce them feeling lost. Consider feeling lost for a moment - what happens to your body, your emotions and your thoughts? For many flight or flight might kick in with the accompanying disconnection from the part of their brain that might be able to help find a solution, and get out of the situation. "Where are you lost - is it in a wood, a maze, a city or somewhere else entirely?" In response to their initial look of confusion I explained. "If you were to describe the feeling of being lost - metaphorically is it more like being lost in a wood, a maze or somewhere else? That is, put the current situation to one side for a moment, and just concentrate on the words 'being lost' "
Having written and explored 'not being able to see the wood for the trees' frequently and deeply I was hoping 'in a wood' might be their answer. "In a maze" they relied. "Could you draw the maze" I asked? "Yes" they said, and promptly drew the maze for me. Just to clarify - if you're not lost, and not lost in a maze you may wonder what on earth I'm talking about. What's important is that the person using the words can identify with them. 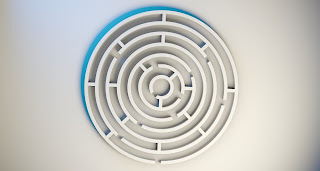 Even to them it may feel weird, sound weird and look weird, but a part of them that is identifying with feeling lost in a maze is able to say "I feel like I'm lost in a maze" and answer my questions. In the same way that someone who describes 'going around in circles' can draw the circles (and I've had some great successes with that one as you'll see if you follow the link to the post on the subject")! 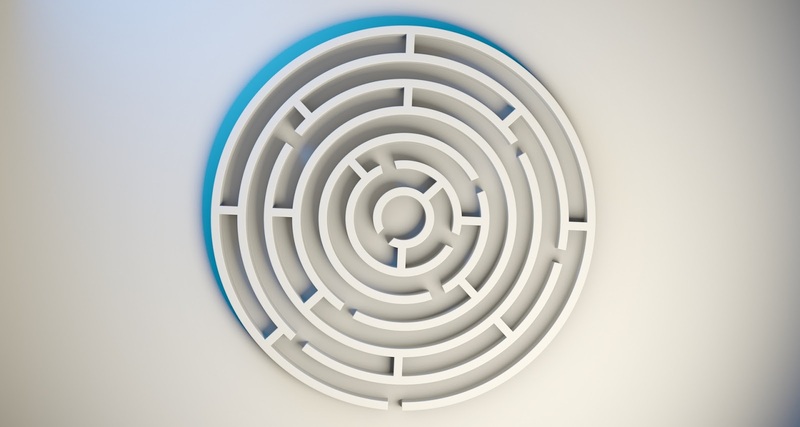 How the situation, that you're feeling like you're lost in a maze about, is resolved will be unique for each individual. 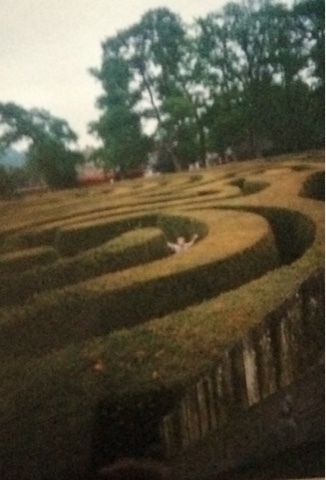 Some may need to go to a real maze and find a way out of it. Others may want to just envisage in their mind being in the maze and turning left and right. Others may find drawing the map is enough. In this case I simply asked them to find a route out of the maze using their finger as a guide. Having first asked them to give the feeling of being lost a score of out 10. I just asked them to repeatedly get out of the maze. The first few times they got lost and had to turn around but after 9 or 10 turns they were able to go to the centre of the maze and get out immediately. "3 or 4" was the eventual response. After exploring the metaphorical maze I then asked them to consider the real life situation they'd previously described as being lost in a maze about. "Oh I just need to do x, yes that feels much better" and we developed an action plan, that at the start of the session had been eluding them. Which brought the score down further. I suspect following the action plan agreed would have eventually brought the lost score down to 0. How might your language be giving you a clue to where the answer might metaphorical be found? I've also written about being stuck in a rut, being up a creek without a paddle and the impact of believing no pain no gain. As I reflect on the top 10 Purchasing Coach posts it comes as no surprise that the majority of them are related to looking at a challenge or situation from a different perspective. How could pipe cleaners have the answer? Is your language stopping you from finding the solution? Will you change the buyer/supplier archetype? Do get in touch if you'd be interested in coaching, facilitation or training, whether using unconventional tools applied to challenges you're facing, or more conventional soft/people skills training. An earlier post described the outcome from a team building day I facilitated some years ago. 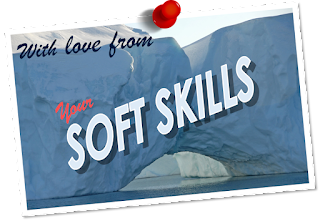 An exploration of many of the topics I write about can be found in the Purchasing Coach Soft Skills Toolkit that brings together a series of postcards from your soft skills - it's entitled Dear Procurement, with love from your soft skills. More here. 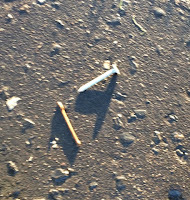 Over the last few weeks whilst out for a walk I've been finding nails on the pavement. 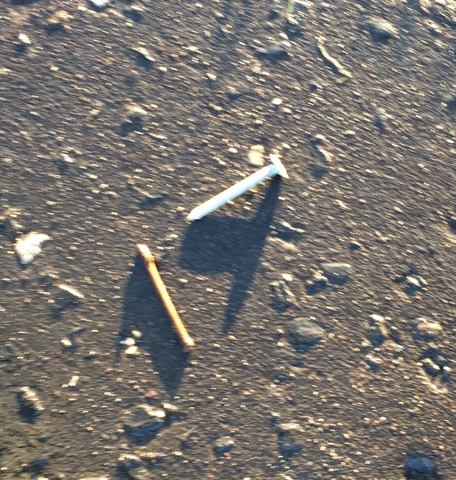 I'd pick them up and put them in the nearest rubbish bin, and then a few days later find another one and do the same. It's still a mystery where they're coming from. 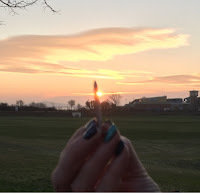 One day I'd just picked a nail off the pavement, and thought I saw another one - until I realised my error - as it was just a twig! When you've got a hammer everything looks like a nail. Its easily done - and may be the reason for a current situation you're feeling very stuck about? When we're seemingly going around in circles, or stuck in a rut, or getting the same unwanted results, you may want to check you're not just walking around with a hammer in your hand! Being too comfortable in our comfort zones. The best means I've found for getting out of mine is to do something different everyday. Although I did enjoy exploring what impact a comfort universe might have last year! Making assumptions that everyone is just like us - and using what we see as evidence to support that - even though when we're seeing a nail it's really a twig! Forgetting that we only know a very small percentage of the facts and data and do need to ensure we get as wide a perspective as possible. Where in your life might you be rigidly holding onto the hammer, and what do you need to do to put the hammer down? I've written before that my life changed in 2000 after attending a Neuro Linguistic Programming (NLP) practitioner workshop. Changed, because I started to take responsibility for the outcomes I was getting in life and at work. I was easier to deal with, and the world felt a lot easier to deal with too. There was another aspect to the change - and that was the work I was doing. Prior to the workshop I was a Procurement and Category Manager responsible for procurement activities. In other words, I was involved in getting the most value out of the goods and services being bought by the organisation. Something I'd been doing for 15 years at that time. After attending the NLP workshop additional activities crept in utilising the tools I was learning - my title also changed to reflect these new responsibilities - Procurement Communication and Personal Development Manager. If I was to describe what I became then it was a manager responsible for the personal and professional development, well being, and effectiveness of the team, and coach when people were stuck. Stuck - in either their personal or professional lives. Perhaps put more simply I helped them unlock their potential. Confidence - at the very least positively impacting their influencing and negotiation skills with internal stakeholders and suppliers. Taking personal responsibility rather than blaming others for outcomes. Taking personal responsibility rather than leaving it for others to do. Relationship management - ensuring they have engaged stakeholders and suppliers on their side not playing for the opposition. State management - ie an ability to manage their state of mind and body in the moment to respond appropriately to any situation. Awareness of others - and understanding that we're not all the same, and we may all have different meanings for the same words, and different perspectives on what the right strategy will be. Giving constructive feedback rather than burying their head in the sand. Trying news ways of working rather than falling back on the all too familiar patterns and ways of working. Empathy - to put themselves in the shoes of team members, stakeholders and suppliers. Finding solutions rather than just identifying the problems. Ability to accept change for themselves, and manage change in others. Being happier and more engaged at work. Creativity and innovation - to deliver breakthrough opportunities and to not just always assume tendering is the answer. Focus and direction - to get more of the right things done every day. Knowing the difference between passivity, assertion and aggression, and when to use them rather than act from the default. Resilience - allowing them to bounce back from set backs and resistance from others. Communication style - improving understanding and relationships within the procurement team and beyond. Flexibility of approach to dealing with others. e.g. not bringing out resistance in others we need to support our actions is always a positive outcome. Acceptance and focus on their own development areas. Organisation and planning - I developed this pinterest board on time management after some 1:3 clinics on the subject last year. Motivation - ie enthusiasm vs boredom and frustration. It depends on what someone is doing whether just doing the job with little passion is good enough, or whether passion and enthusiasm will bring added benefit to their work and the results they deliver. Understanding of the impact of making judgements of others. Fear - of failure, of speaking, of success, of moving on, and so on. Making assumptions - Deep Water Horizon is a great example, if the movie is based on fact, of the disastrous impact of making assumptions. You'll find other horror stories of procurement gone wrong in Pinterest where I'd suggest a large percentage of the reason it even happened is due to 'how' the procurement team did what they did. Cutting corners when it's not safe to do so. Taking their head out of the sand on the negative impact they're having on other people, and the other persons performance. 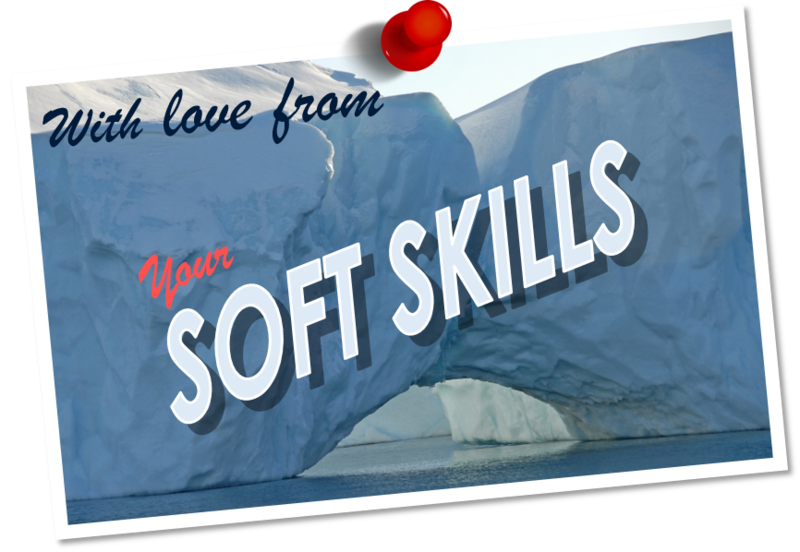 Paying lip service to 'soft skills' development (forgive a girl for trying :-)). For the last 11 years I've been self employed delivering a mix of category management consultancy, training and coaching - with a whole load of unconventional tools, development of the 'how', and unlocking potential thrown in too. See my year in blogs for a sense of what 2016 entailed. In 2017 I'm looking to further expand the elements of my role that deal with 'how' procurement teams do what they do, and unlocking their potential. If you're interested in developing the 'how' they do what they do to further unlock the potential of your team please do get in touch - alison@alisonsmith.eu +44 (0)7770 538159. I look forward to exploring what unconventional tools (or maybe even conventional ones) would support your team most so they may exceed yours and the board's expectations. Using unconventional tools to unlock the potential of procurement teams. The picture above is one of 96 jigsaw pieces we had engraved with the objectives of the procurement team for that year. 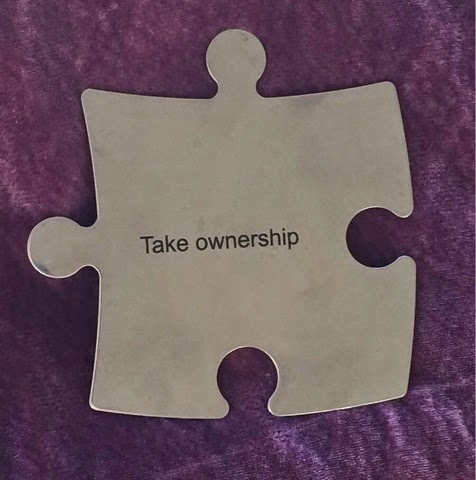 Everyone had one jigsaw piece, and took them to meetings to swap and discuss. As objectives were met an online jigsaw was completed - see below for a real life attempt at completing it at one team meeting! This innovative approach, along side other activities, ensured an improvement from bottom quartile in the MORI staff opinion poll in our first year after merger to upper quartile the following year - including the following improvements. I've just finished watching BBC Four Storyville Life, animated, and would highly recommend you investing 90 minutes of your time to watch it too. (It's available on iPlayer in the UK for the next 28 days. More here for worldwide viewing). Nominated for an Academy Award, this film tells the uplifting story of Owen Suskind, an autistic young man and his family. After unremarkable early years, at the age of three Owen withdrew and suddenly stopped spenghimself in Disney animated films, using them as an emotional road map to reconnect with the world. Owen and his family describe the challenges he faced growing up and the understanding he drew from these stories. Oscar-winning director Roger Ross Williams tracks how by repeatedly watching these Disney classics, Owen learned to view the world as deep and complex, as well as inspirational and instructive. Life, Animated is a remarkable insight into Owen's unique way of seeing the world, and an emotional coming-of-age story as he leaves home and takes his first steps towards independence. Watching the Lion King for example reminded Owen that "it's important that when our parents can no longer help us we have to figure things out for ourselves." As this identification with Disney films developed it became apparent that Owen identified himself with the sidekicks in the films. "I am the protector of the sidekicks - no sidekick gets left behind." Never a hero, just the sidekick who helps the hero fulfil their destiny. Owen even went on to write a story 'land of the sidekicks' which has been made into a short film. In addition to reminding me of the Tamarians in Star Trek Next Generation's Darmok, who only communicated in allegories, this identification with a specific role reminded me of Caroline Myss's work on archetypes. Archetypes have been around since Plato (not often I mention him in my writing), and were popularised by Carl Jung (ditto). Archetypes are psychological patterns or roles that we embody. For example if I mention being a mother archetype, certain patterns of behaviour would be common the world over. If I asked you to take on the mother archetype, therefore, you'd know what to do. You wouldn't need to be an actual mother to take on this role just identify with it, and act out the patterns of being a mother. It's the same with the victim archetype - we'd all know how to act out or embody that role? A healthy victim, and the shadow side too, you know the one, that never takes personal responsibility for anything in their life, and always looks to blame everyone else for what's happening. When we're stuck or wanting to understand what we need to do to resolve a situation, understanding the roles or archetypes involved can help. After all if one person is acting out the father role, and the other person the naughty child, we can all write the script for the relationship and issues likely to occur. Similarly the relationship between victim and bully. Understanding the archetypes at play allows us to understand the choices available to change the current patterns we're adopting. For example a 'victim' may decide to move to being a 'knight' or an 'adult'. The decision made however is often unconscious and may simply sustain unhelpful behaviours. For example someone who identifies themselves as a victim, may rush to take on the knight role to squash perceived bullies even if the issue really is their belief they're a victim. Other times of course the knight role may just be what's needed. As with any of the tools I use, archetypes is just something to consider when the outcome we've got isn't what we want it to be. To consider how the role we're playing is, or isn't contributing to the outcome we've got. Here's a little more about the concept. 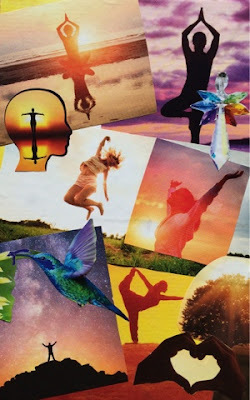 Caroline Myss's work suggests that at any time we each have 12 archetypes that we can pull upon as we go about day to day living - personal support teams if you will to guide our every action. You don't have to look far in politics or business at the moment to see many adopting their prostitute archetype - willing to do anything for financial gain (but don't get me on that particular rant). Eternal child - Peter Pan anyone? When you embody the child archetype which of these best describes your actions? I'd have to say I think I'm the innocent and magical child - seeing the beauty in all things and believing that anything is possible! What archetypes might be in your support team, and how are they supporting or hindering you in realising your full potential? Archetypes is an interesting concept and not one I use that often in the work I do. Every now and again, however, something someone says has me considering the roles being played out, and wondering how these are contributing to the current situation, and what changes could be considered to shift the outcome. On a similar vein to the archetypes I've written a number of blogs about metaphors hidden in our language, and how understanding them can help us release the blocks that are holding us back. I've written about how life is very different if we see life as a garden, machine or a war. With for example, conflict being seen as something to be encouraged and embraced if life is a like a war, and to be avoided if it's like a garden. Procurement being seen by suppliers as wolves! Of course we can always try metaphors on - for example last year I invited us to think about what Harry Potter or Paddington would do to be more creative in our options development. 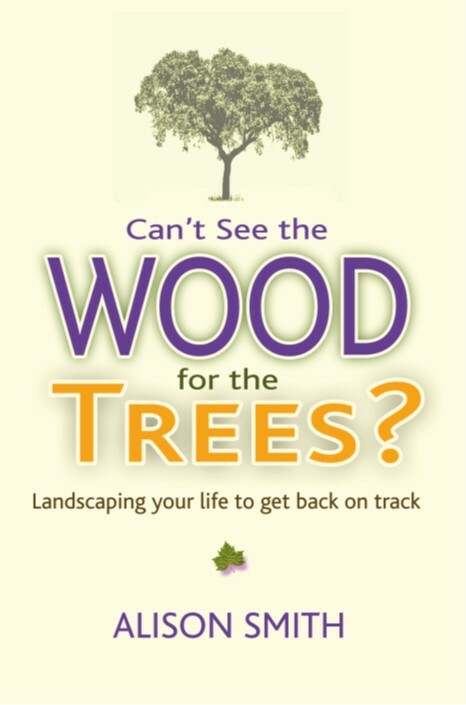 I also use nature as a metaphor for life over on my Landscaping Your Life blog. I'll be sharing more about the unconventional tools I use to unlock your or your team's potential over the coming weeks. 19 days to gather the data, to define a common language, to understand the assumptions being made and prejudices, and to understand the resistance and motivators. A day to solve it, and then time thereafter to implement it. More on applying this insight to procurement activity here in a blog written for Future Purchasing.